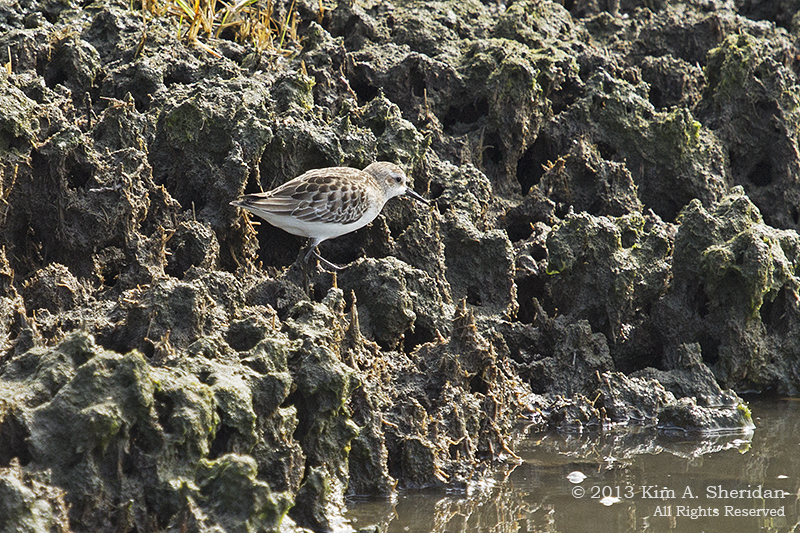 FUN FACT: Here’s a Semipalmated Sandpiper. A big name for a little bird! Its feet have short webs between the toes, hence the name. The holes in the mud are made by crabs, a few of which we’ll meet in an upcoming post. Some of those aboard were veterans of springtime Skimmer trips, and reported that there weren’t nearly as many birds this go-round. It didn’t bother me, as I still saw two life birds this trip. Quality over quantity! 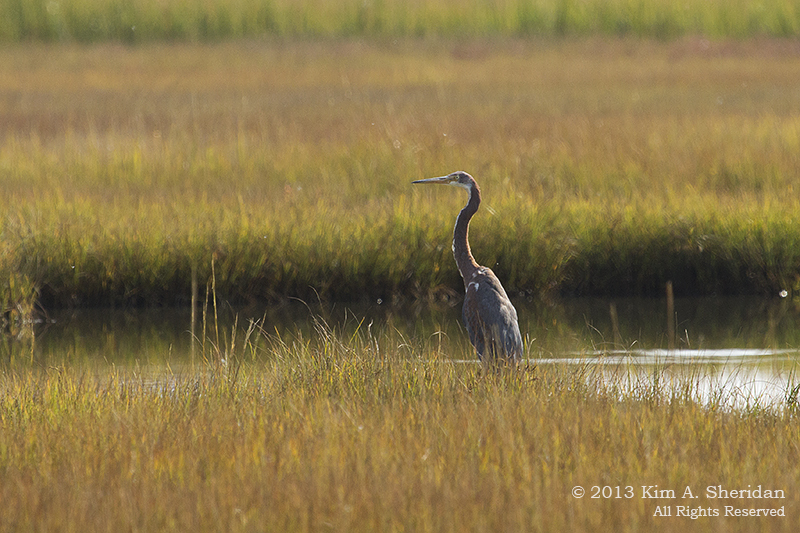 Here’s the first lifer, Tri-colored Heron. 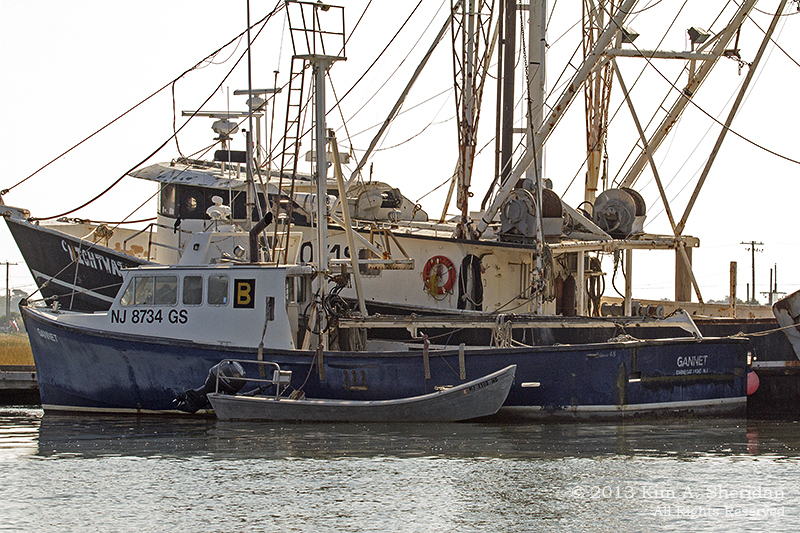 These are not the Skimmer, but a couple of fishing boats anchored along the harbor. Speaking of fishing, a couple of times our captains scooped up marine life with a bucket for us to examine. There were sea urchins, shrimp, crabs, and a sea star at least six inches across. We also found a couple of large whelks. Most people know these for the empty shells found on the beach, but they are actually snails. Every time the captain tickled the soft creature inside the shell, it fired back with a jet of water. 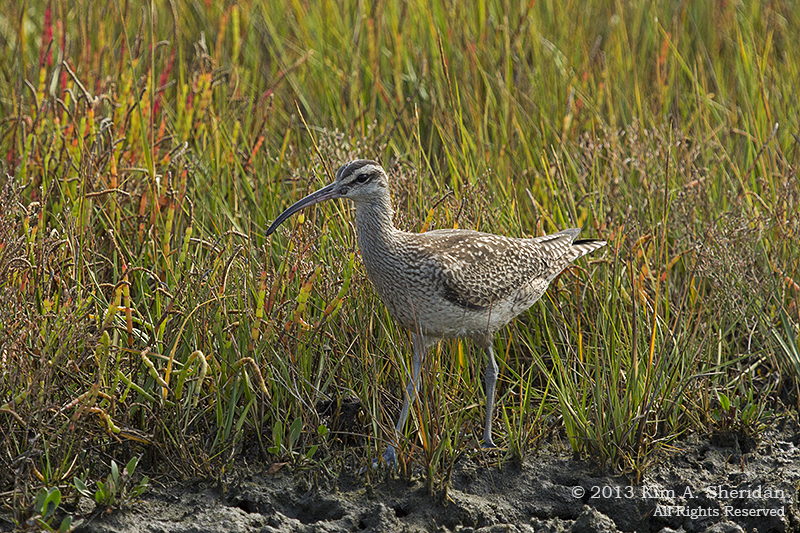 Here’s the second life bird, Whimbrel. The captain brought the boat in for a really close view. Being on a boat has its advantages. 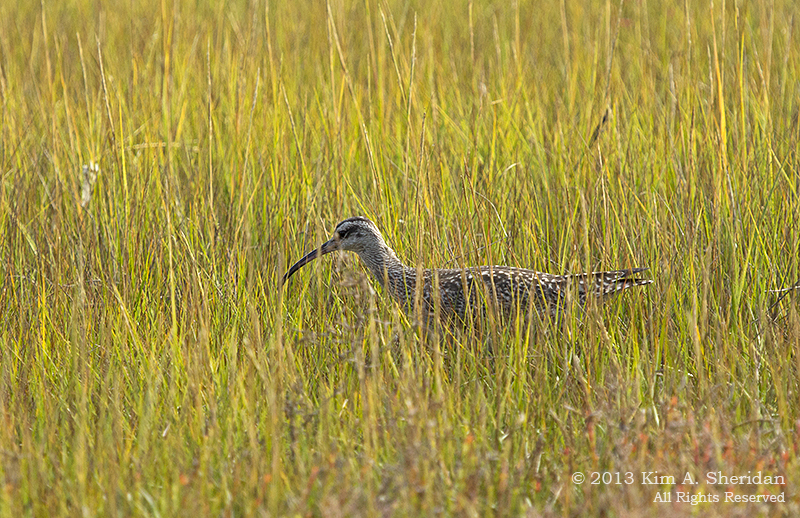 As does that long downturned bill, for the Whimbrel. It’s perfect for digging yummy tidbits out of the mud. After lunch, we went for a land-based trek through Cape May Point State Park. 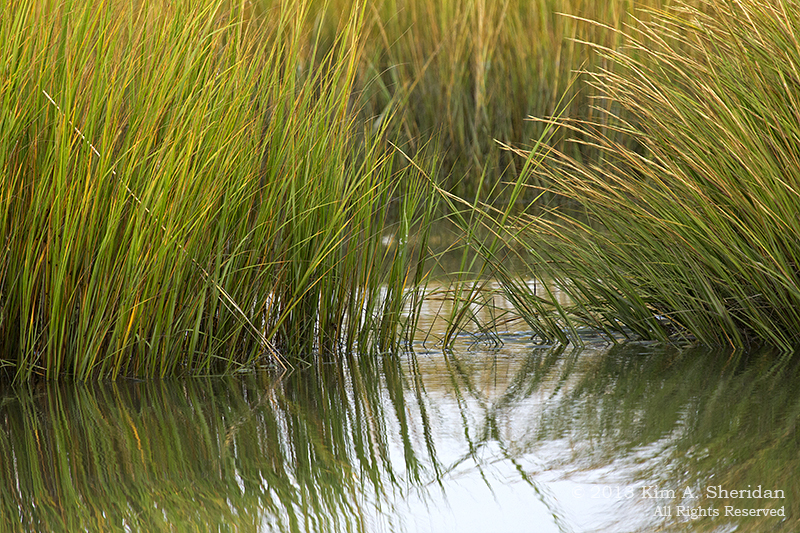 With marshes, ponds and forests, there’s always a lot to see here. As the afternoon wore on, the unseasonable heat was getting to animals and humans alike. 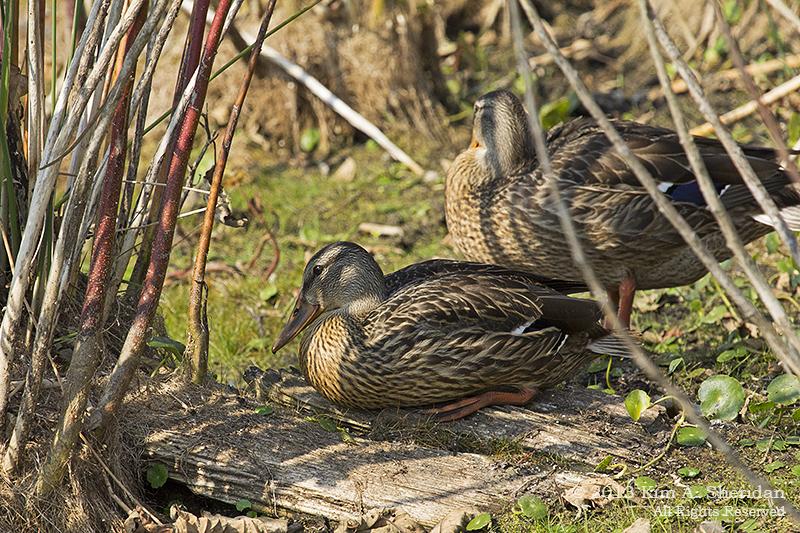 A couple of Mallards found a nice patch of shade. 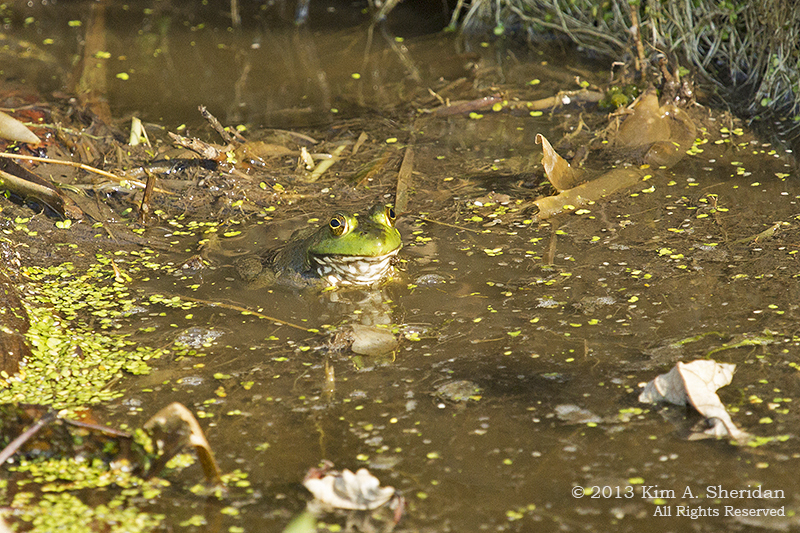 A Green Frog knew how to keep cool. 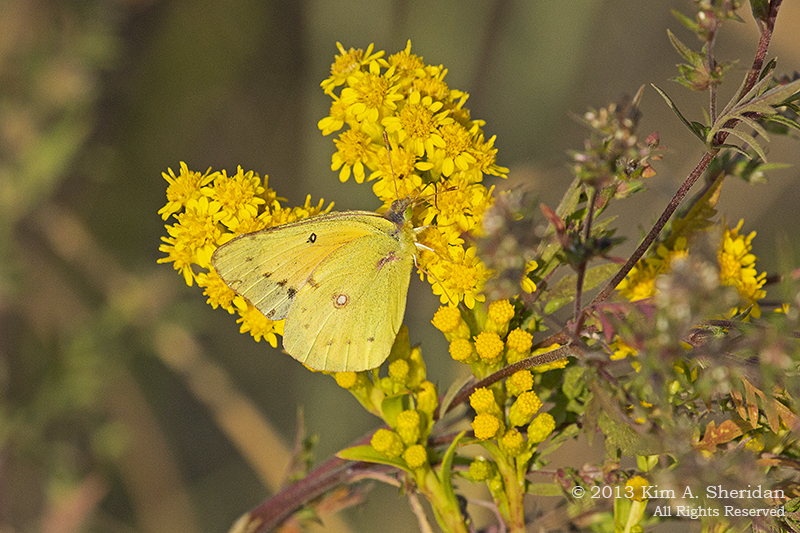 Seaside Goldenrod was in bloom everywhere, and attracting lots of butterflies and bees. 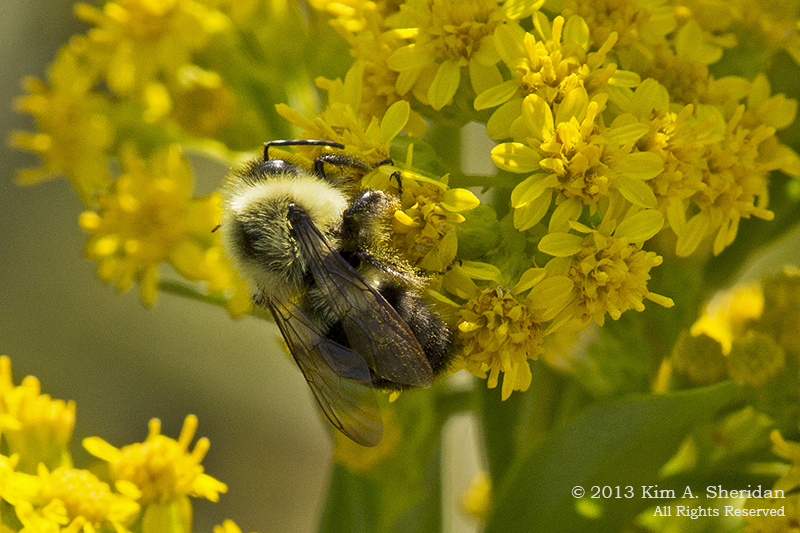 This bee is loaded with pollen. Here’s the Bird of the Afternoon. 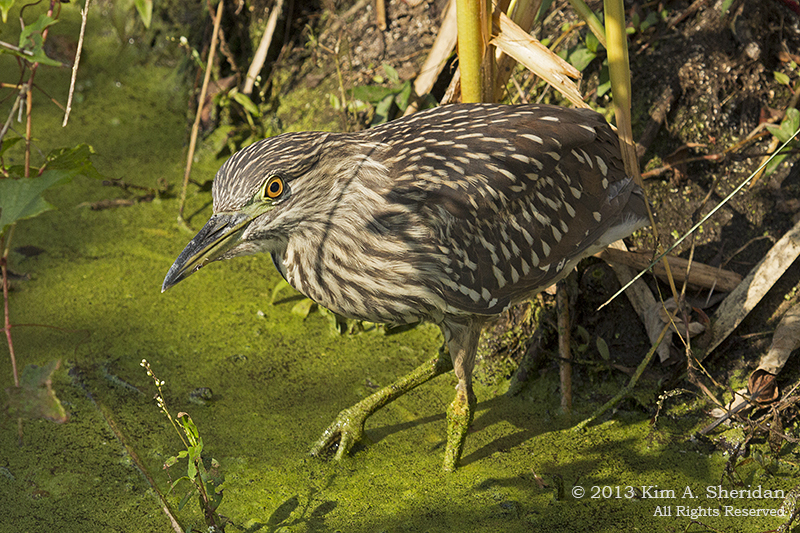 This is a juvenile Black-crowned Night-heron. We found him at the base of a footbridge crossing a small stream. He couldn’t have been more than ten feet away, and he barely budged the whole time we were taking his portrait. It may have felt like summer, but the golden hues hint at autumn to come. 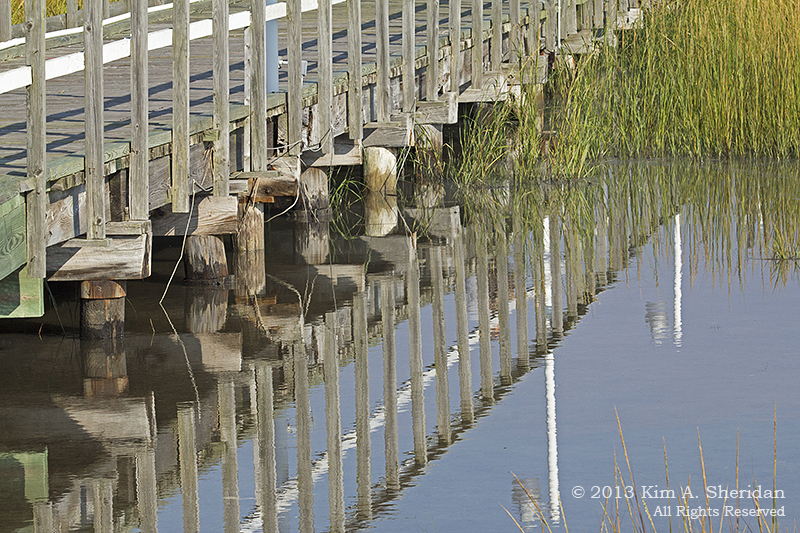 What better way to spend a glorious fall day than soaking it all up in Cape May. 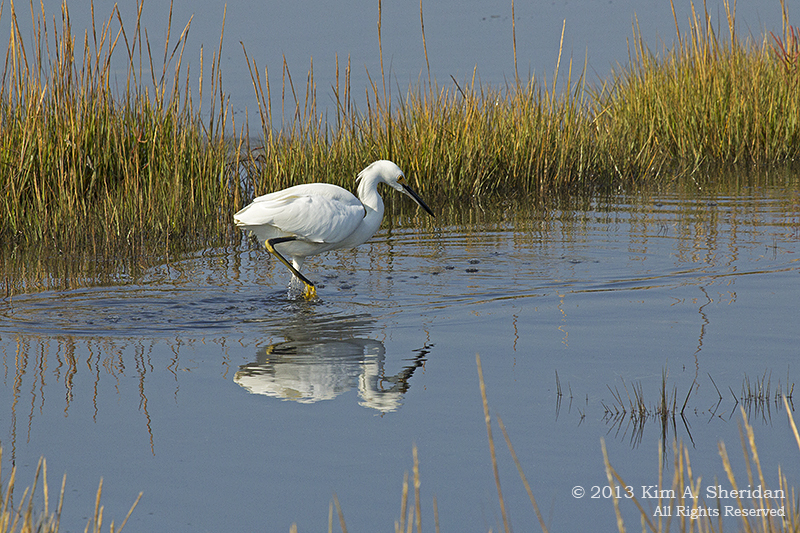 This entry was posted in Jersey Shore, Nature and tagged Amphibians, Birds, Butterflies, Cape May Point State Park, Nature, Wildlife by Kim. Bookmark the permalink. hey – great photos! looks like a great trip!